A series of questions asked users about their current and future needs. 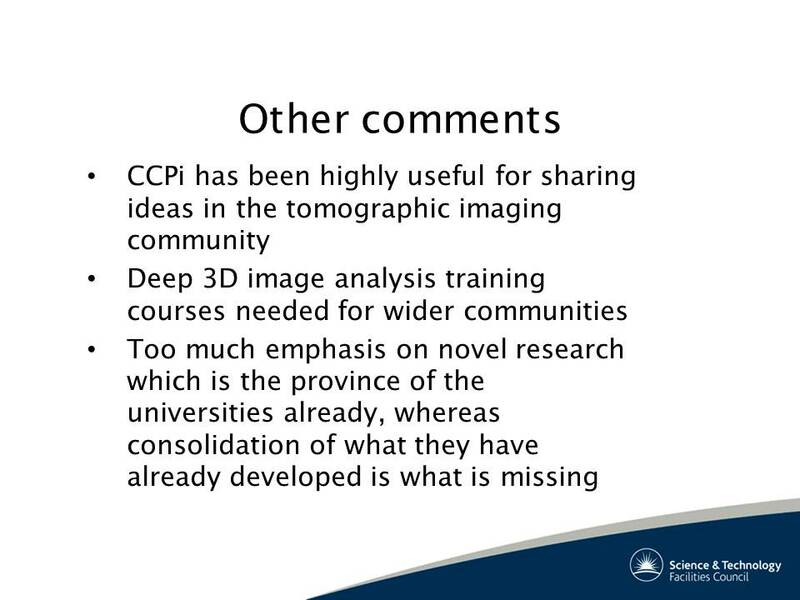 Some important issues were raised over the changing use of visualisation tools for Computed Tomography results. 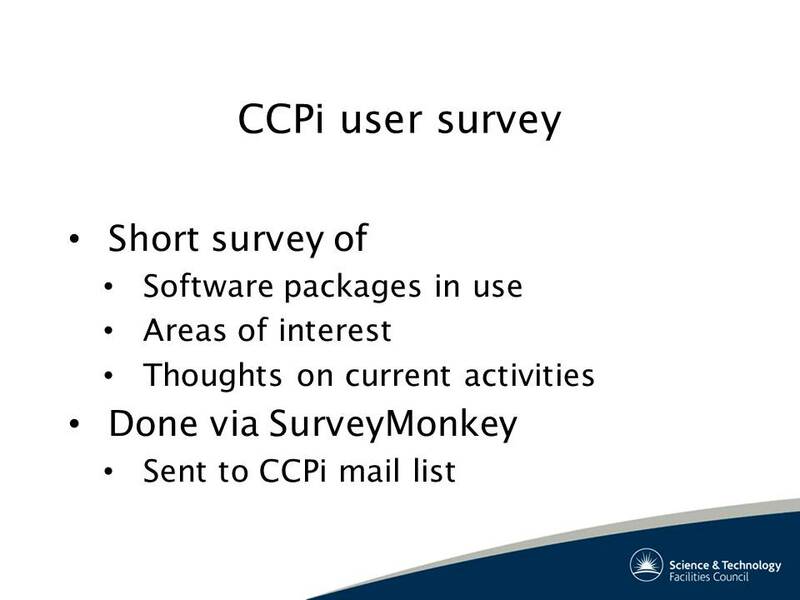 CCPi core activities will focus on wrappers and development of community software for these three products. 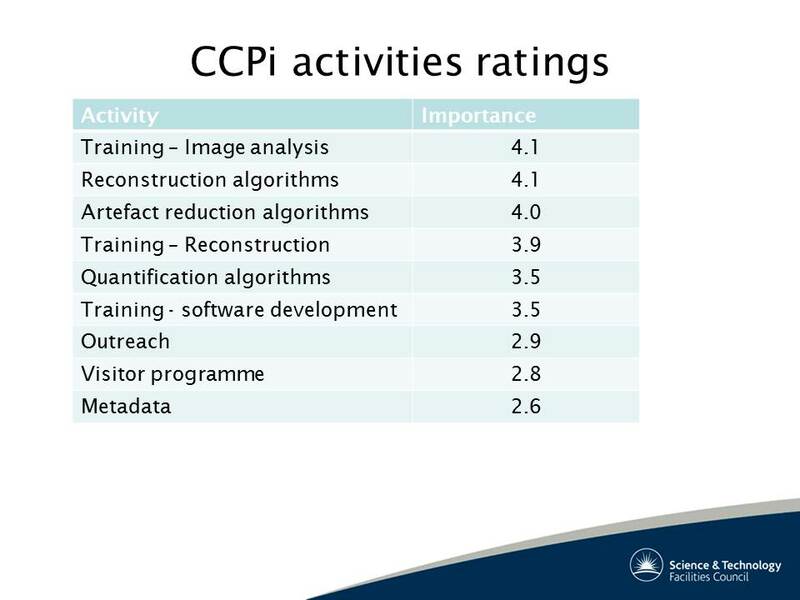 At the CCPi Working Group meeting there was a short debate on the results which resolved to focus effort from VolView to Avizo and follow the direction from the user base. This was followed up at a Developers’ Workshop help in Nottingham University (23 July 2014). 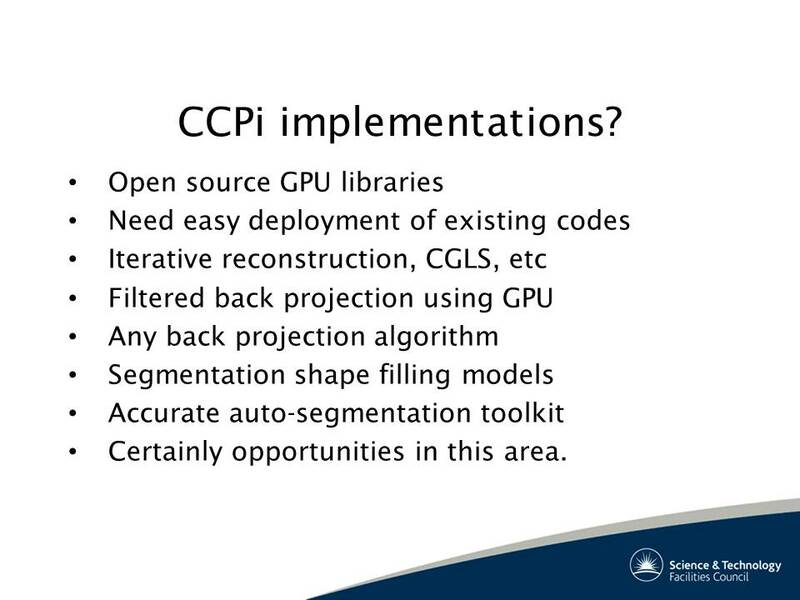 CCPi Working Group June 2014. Included discussion on survey results. During EuroVis 2014 in June at the University of Swansea we had post dinner and then extended discussion meeting regarding the possibility of considering Visualisation as a CCP in itself or as a cross-service role to other CCPs. 1. The conference hosted about 250 people so there is a vibrant and large community which would be active in supporting. The UK component is a good size and this year it was reported that there was a significant increase in interest from a range of UK universities. 2. There is alterntaive networks within the UK including the Eurographics UK Chapter: who could support and assist in further network development. They also represent 10 or so people across the two main communities of Computer Graphics and Visualisation. A recent survey has involved trying to define the distinction between these two main groups. information visualisation or scientific visualisation – or both. specific API toolkit or major product including interface etc. Swansea City is meant to be the wettest city in the UK- and we had to suffer the 30 min walk across the wilderness from the hotel to the university; there and back every day. Gorgeous sunshine on the beach walk to the University of Swansea from our hotel during EuroVis 2014. Spot anomalies using the software available. 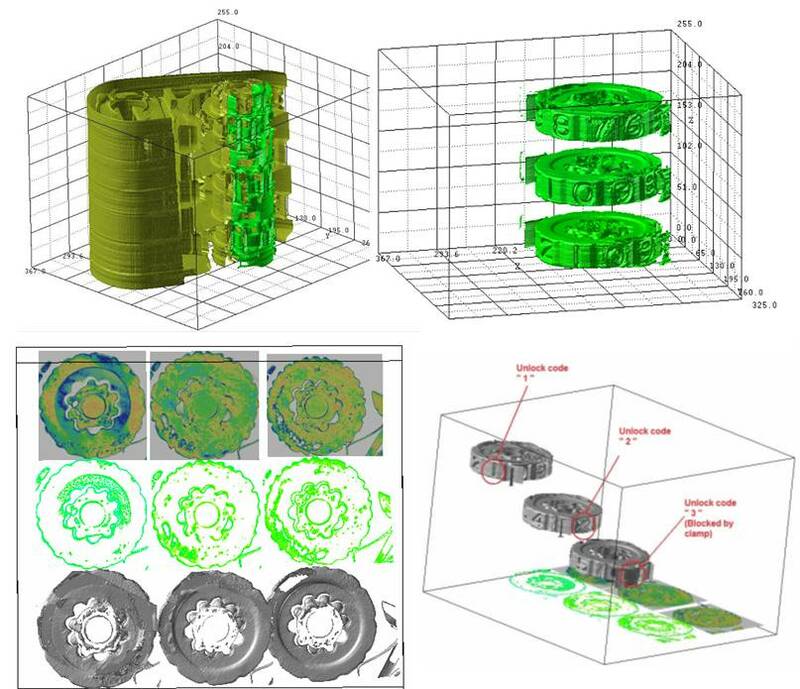 As part of an assignment a set of objects were scanned using an X-Tech 320 kV CT scanner. 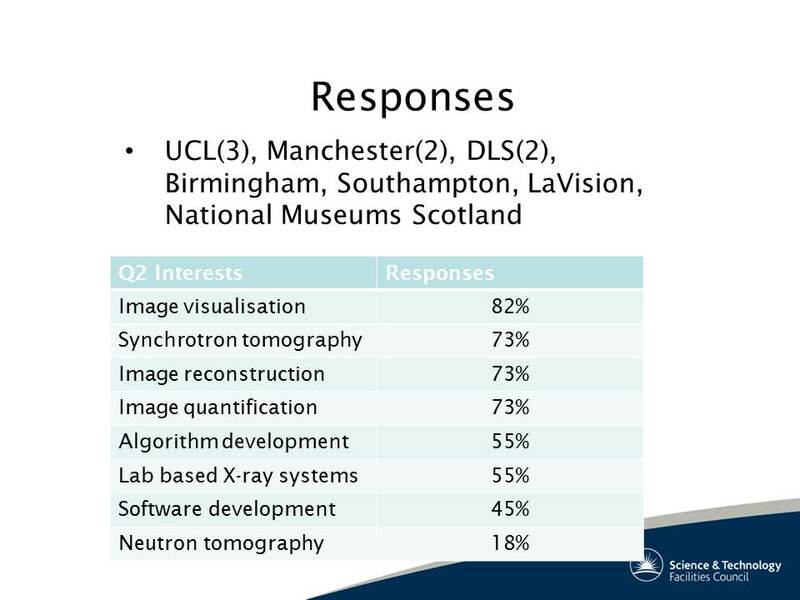 This was followed by an exploratory stage using the multiple methods available from visualisation systems. 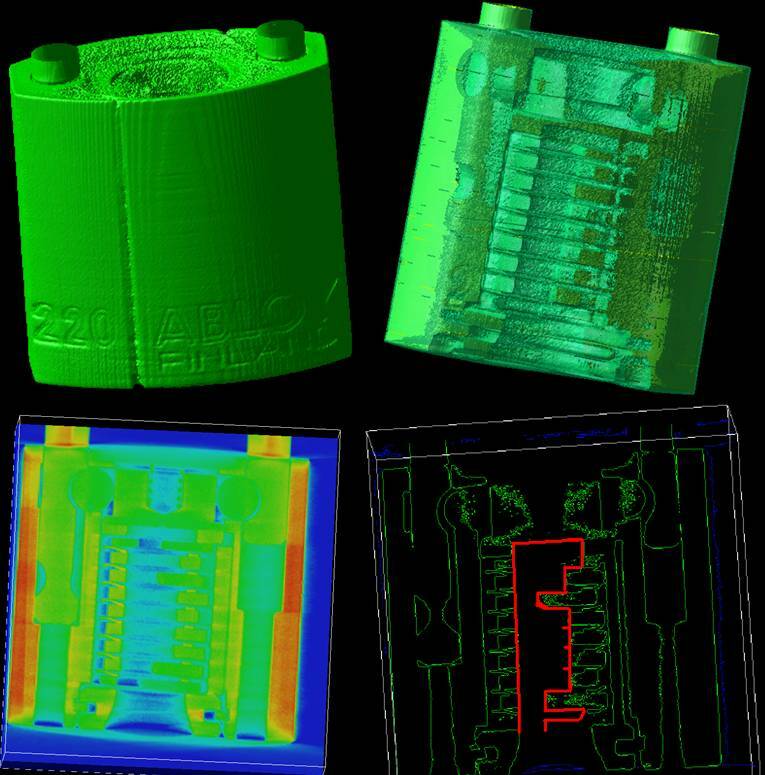 Understand how different materials and components can be separated. Extract the shape of a visible or unknown component. Analyse the density of the materials used and identify defects. Presented a range of 2D and 3D views that could be manipulated to see features. An ancient mobile phone, the Nokia 702 amongst other items were investigated. About 1500 2kx2k X-ray images were captured over evenly spaced rotation angles of the mobile phone. These were reconstructed to create a 3D volume approx 1500 x 1000 x 1000. The speaker mechanism (bottom) can be clearly seen, as well as loose components (right) that were not screwed down properly. Left: Speaker components clearly visible identifying 3D shape and measurable size and density. Right: Loose components (extra screw) that has fallen into the phone during assembly is visible and measurable. The obvious aerial is actually an aesthetic feature, as it is not connected, with a mesh being used instead (below). Two density transfer functions highlighting the mesh aerial. 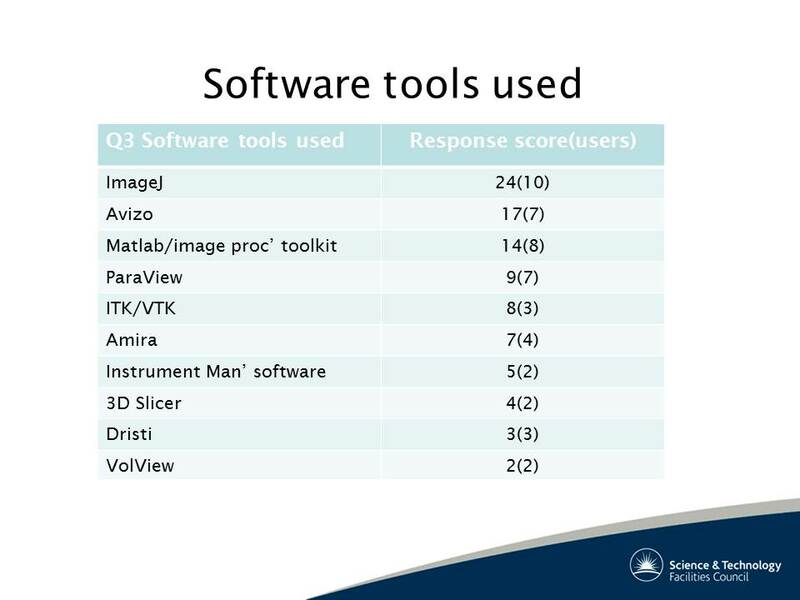 Very quick confirmation of discoveries has occurred but the full visualisation component can be seen in the following screenshot that describes and views the raw data, image projections, 3D reconstruction slices and final 3D volume visualisation (left to right). 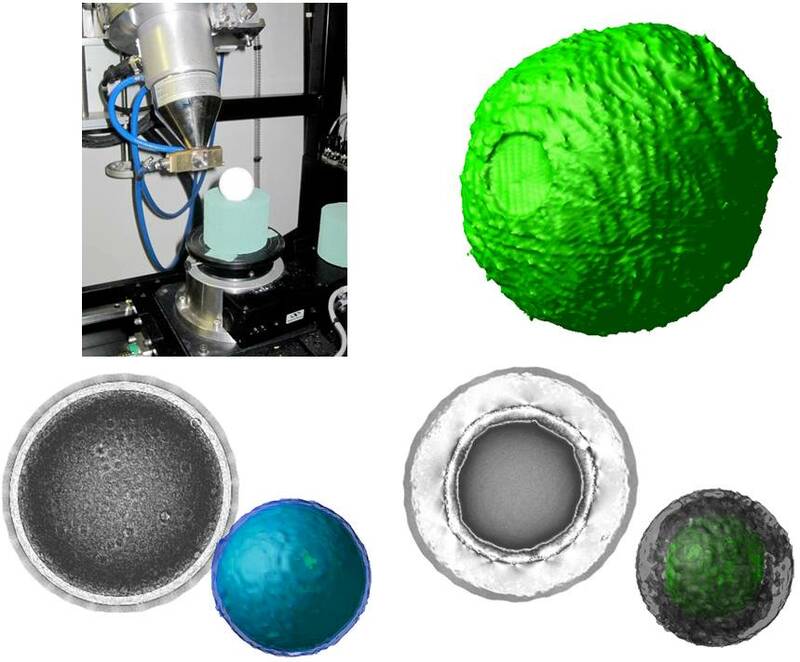 A Fitleist 2 (High-quality) versus a Srixon 4 (standard quality) golf balls; were both scanned at 2kx2k and then investigated using identical networks to discover material characteristics non-destructively. The high-quality golf ball has a very well-defined liquid core with an injection point, multiple tight winding impressions, as well as, far more complex layers of materials all visible and can be quantified in terms of shapen and size. Example 3: Low Quality Padlock. A very low quality padlock – with simple mechanism. Although the padlock uses a key the shape has been shown to be irrelevant to opening the lock. All that is needed is for the clip (far right) to be pulled apart so virtually any flat shape will work. Visualisation network for the low-quality padlock. Although simple can still with interactive exploration discover new features within the volume data set. Example 4: High Quality Padlock. A very high quality spherical security padlock – with complex mechanism. Requires a complex key structure, but it is still possible to retrieve the main components of the key shape. Various views and colourmaps highlighting components within the high-quality padlock; as well as marked up components showing a possible 2D key structure to assist in picking the lock. Homeland Security combination padlock. Understand how both combination and key mechanisms work; 1. Extract the correct combination code for unlocking the padlock, 2. Extract the shape of the key, and 3. Analyse the density of the materials used within the padlock manufacture and identify defects. 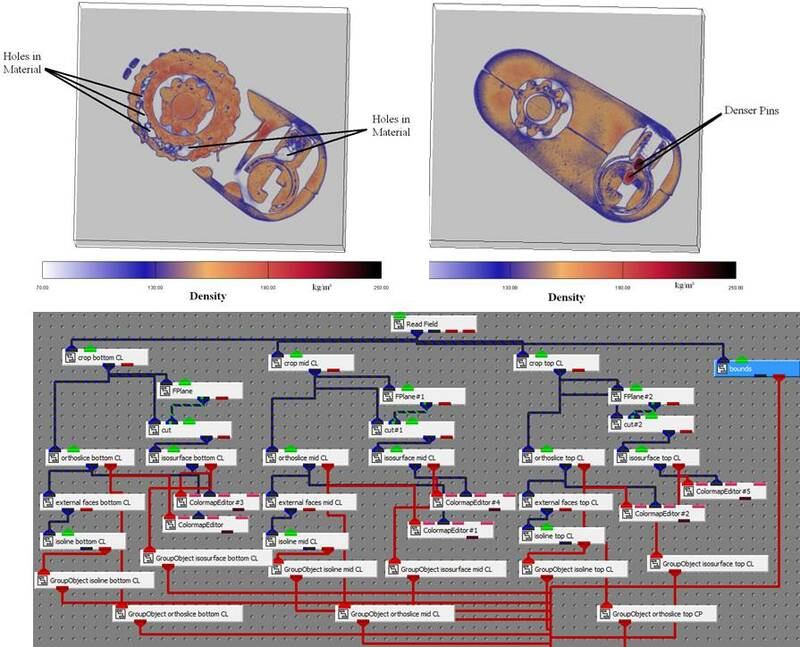 Visualization filters can extract specific components – in this case recover non-destructively the combination lock values for the padlock. 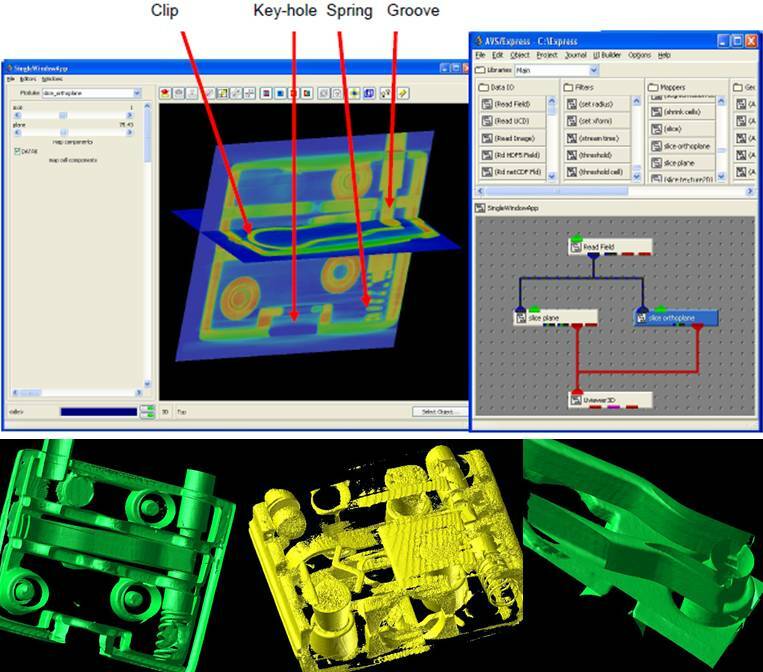 Alternative visualization filters allow analysis and measurement of defects introduced during the manufacturing process. How to extract the combinations from a padlock. Step-0by-step process extracting and examining the components. Density measurements illustrating poor and good quality manufacture within the lock. Network is complete network for the extraction of the combinations. 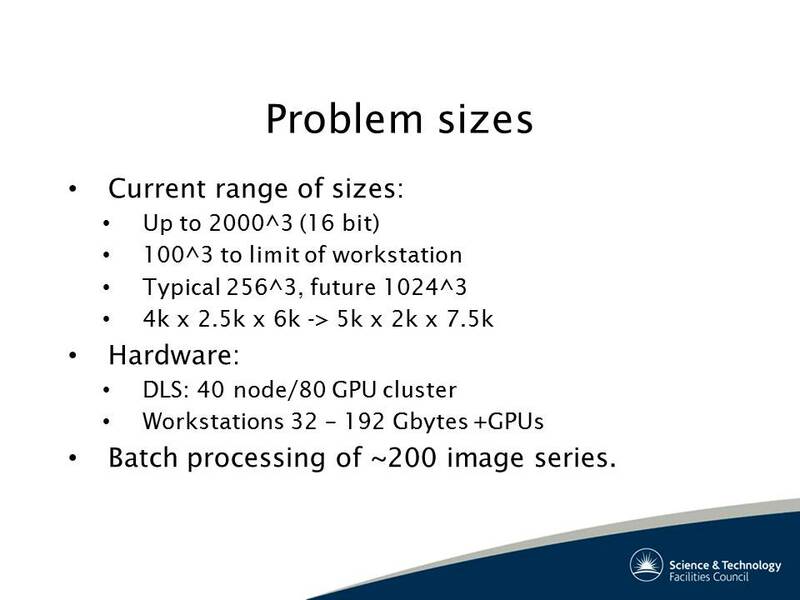 The benefits of using visualisation in this case was to gain Insight as the human was able to see anomalies that an automated computer system could not. 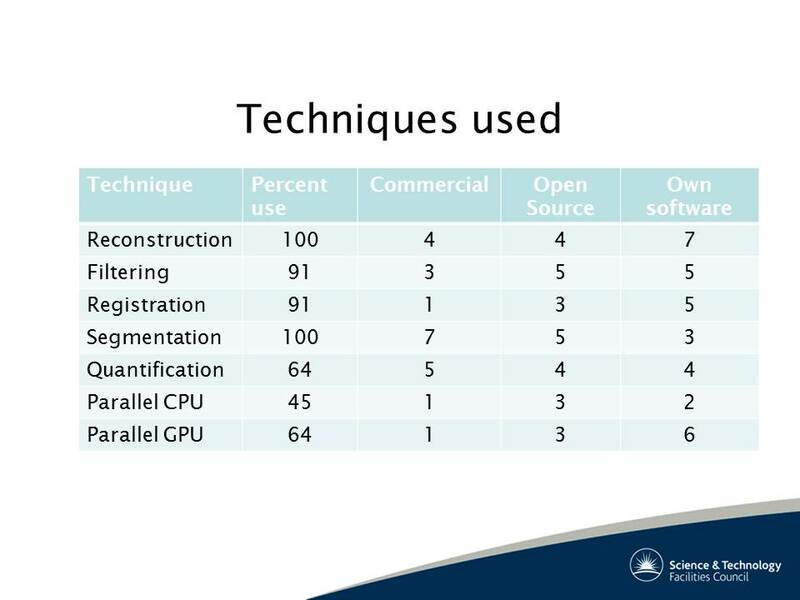 The question is when would an automated system – say for defect detection – be sufficient and used and then visualisation is not needed just data analysis and mining. Credit to the students and researchers in the past who have created these visualisations and carried out the analysis.